Herb Rosen (item 2 view 3) built this jewelry box out of hard maple. It was finished with red oil based stain and aerosol Lacquer top coat. 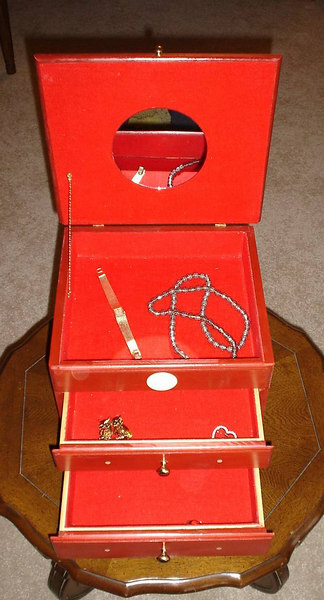 The interior is red felt with a mirror and lid chain. The front, sides and back have bass wood inlays. Their is a hand carved onlay on the lid. The knobs, feet and external strap hinges are brass.